As per the previous announcement, KuCoin has completed the distribution of the airdropped MTV to the users who participated (e.g. clicked the 'Purchase Now' button) but failed to complete their purchase in the first round of the token sale on April 3. We will complete the distribution of MTV to all successful KuCoin Spotlight participants as soon as the special round of the token sale is over. Users can check their accounts by going to Assets>My Bonus, and checking ‘Other Rewards’. We will not distribute MTV to these users and will refund the corresponding number of MTV to the MultiVAC project. 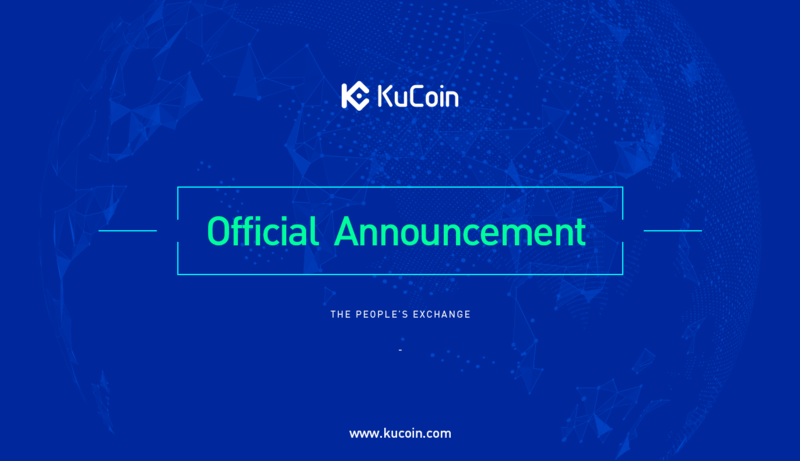 We have returned the KCS to these users’ KuCoin Accounts. As the People’s Exchange, we would like to provide a more fair and equitable Spotlight token sale for users who have continued to support us.